With a family history that bleeds Maroon, it was only natural for sophomore Walker Lee to follow in the tradition of becoming an Aggie. The golf standout details his journey in the latest edition of 'Center Stage'. 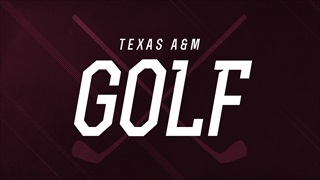 After an impressive 2018 fall season, the Texas A&M men's golf team will attempt to carry that strong momentum into the spring season which begins on Monday. 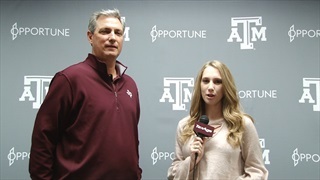 Lia Musgrave caught up with A&M head coach J.T. Higgins to preview the season. The 2019 spring sports seasons are quickly approaching and some of the head coaches took the time to meet with the media on Wednesday afternoon to discuss their upcoming seasons. Head coaches Pat Henry, Andrea Gaston, and Steve Bultman were among those in attendance. TexAgs.com is now twenty years old, and since our inception, we've seen some of the best athletes to ever don the Maroon & White. 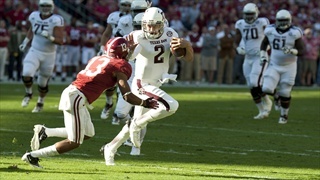 Gabe Bock runs down the twenty greatest Aggie athletes since TexAgs was created. The Aggies square of with the No. 1 team in the nation, Oklahoma State, in the Quarterfinal round of match play at the 2018 NCAA D1 Men's Golf Championship. Chandler Phillips leads off for A&M and takes the course at 7:50 a.m. in Stillwater. 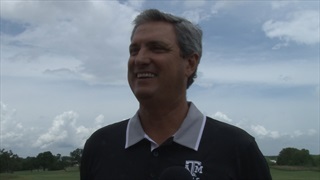 Ahead of this week's NCAA Men's Golf Championship in Stillwater, Oklahoma at Karsten Creek Golf Course, A&M men's golf coach J.T. 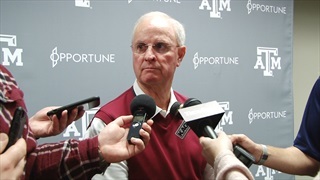 Higgins and select Aggie golfers met with the media to discuss the upcoming tournament and a shot at the programs second title. The Aggies claimed the team title on Wednesday afternoon, and junior Chandler Phillips took home the individual honors at the Bryan Regional from Traditions Golf Club. Phillips led all golfers with an impressive 11-under par performance. 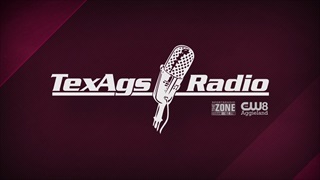 Thursday's edition of TexAgs Radio featured former Texas A&M and current professional golfer Conrad Shindler discussing recieving his PGA Tour card, life on the Web.com tour, playing with his former A&M teammates and more. 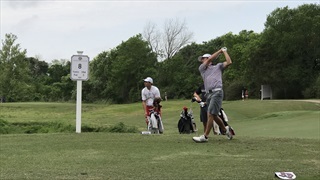 The highs and lows of mid-March and early April have the Texas A&M golf teams feeling prepared heading into this week's SEC Championships. Former Texas A&M and current professional golfer Martin Piller joined Wednesday's edition of TexAgs Radio to give his thoughts on the 2017 Masters, talk about his golf career and personal life after leaving Texas A&M and more. J.T. 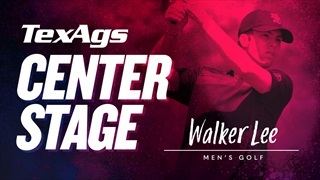 Higgins' Aggie Men's golf team was back in action this weekend at Traditions Golf Club in Bryan for the 11th-annual Aggie Invitational. A&M finished 12 shots behind tournament winner LSU, while Aggie Cameron Champ finished tied for second at -5. Texas A&M Golf has begun its spring season, and the Aggies have been hot out of the gates. 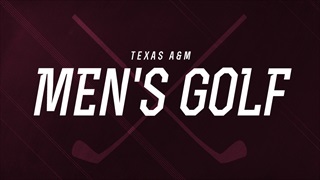 Chandler Phillips and Maddie Szeryk have led the Texas A&M Men's and Women's Golf to top-4 finishes in every tournament to date this spring. Texas A&M men's golf has enjoyed a lot of success this fall, and that continued at the Golf Club of Georgia Collegiate. The Aggies took hom fifth place and were only two strokes off the lead, and Chandler Phillips finished fourth individually. Taking home it's second top-three finish of the young season, Texas A&M men's golf had a solid, if imperfect, weekend in Illinois. Aggie Cameron Champ shot a final-round 69 to take home his first individual victory. 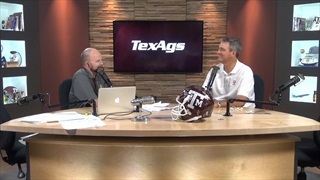 During Wednesday's edition of TexAgs Radio, Texas A&M men's golf coach J.T. Higgins joined to discuss his team's upcoming appearance at the Albuquerque regional of the 2016 NCAA Tournament next Monday through Wednesday. With a bad finish to the final round, Texas A&M was forced to settle for a ninth-place finish in the lone home event of the season. Senior Andrew Lister claimed a share of fourth place with a final round of two under par. Coming into Saturday's 36-hole first day of the Aggie Invitational, Texas A&M had a strong game plan. Unfortunately, early bogeys and poor execution led to a lackluster start, leaving A&M in 7th place with 18 holes left.